Turns out the Hawks a little better than that. They’re 12-1 and ranked second in Class C South, just 0.4219 Heal points behind top-ranked Madison. 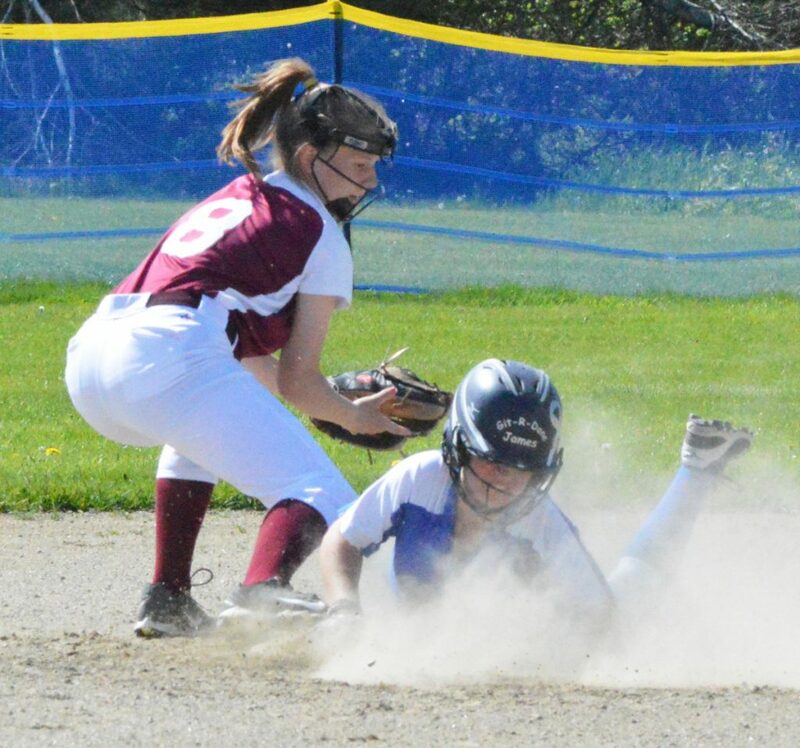 In the last eight days, Sacopee Valley has defeated three of the top teams in Class B South – Greely (8-1), Fryeburg Academy (7-1) and Poland (12-3) – plus Richmond, the No. 1 team in Class D South. The 2-0 win at Richmond on Monday snapped a 74-game home winning streak for the Bobcats. Hink was also the team’s leading hitter at .533 with three home runs going into Wednesday’s win against Poland. She was followed by her freshman sister, Lakyn, who plays second and was hitting .489 from the No. 1 spot in the lineup. Sophomore shortstop Allie Black was hitting .467, freshman center fielder Gabby Martin was hitting .438, Sanborn was batting .410, and junior third baseman Brenna Humphrey was at .357. DEFENSE ALSO comes first at Scarborough. That was clearly evident in last a 3-1 win last Thursday against Thornton Academy, when senior first baseman Felicia O’Reilly put on a clinic on how to scoop low throws out of the dirt. She saved at least four throws. Of course, Scarborough prepares for errant throws with a defensive drill called “bomb the first baseman.” That’s when players line up at shortstop with all the balls they can find and deliberately make bad throws to first. They run the drill at least once a week. A BIG FRIDAY is coming up. In Class A South, Windham heads to Saco to play Thornton Academy at 7 p.m. at Saco Middle School, and Gorham travels to Massabesic. In Class B South, Cape Elizabeth, looking to hold on to the last playoff spot, is home to Greely.